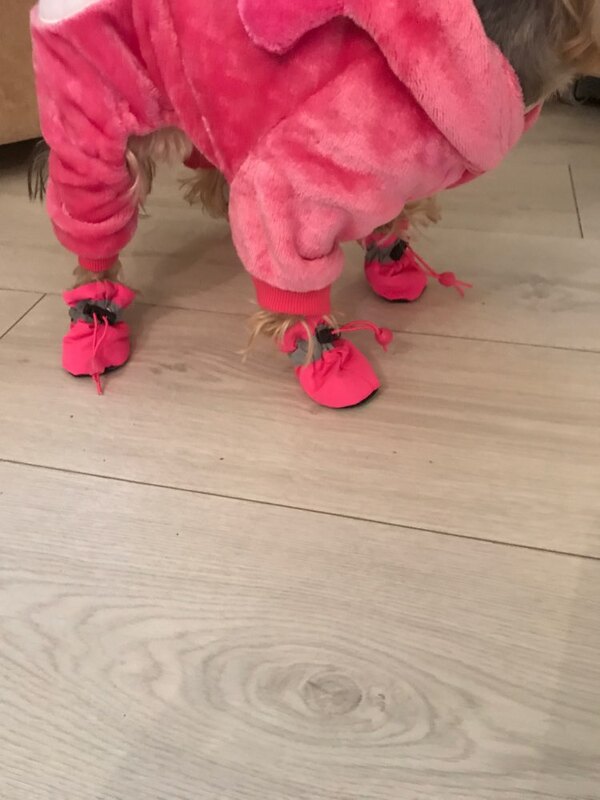 These comfy-cozy dog slippers are perfect for pups with chilly paws! The Mutt Moccasins are made of breathable nylon material that manages to be durable, cozy, and light-weight, plus soft faux fur lining. 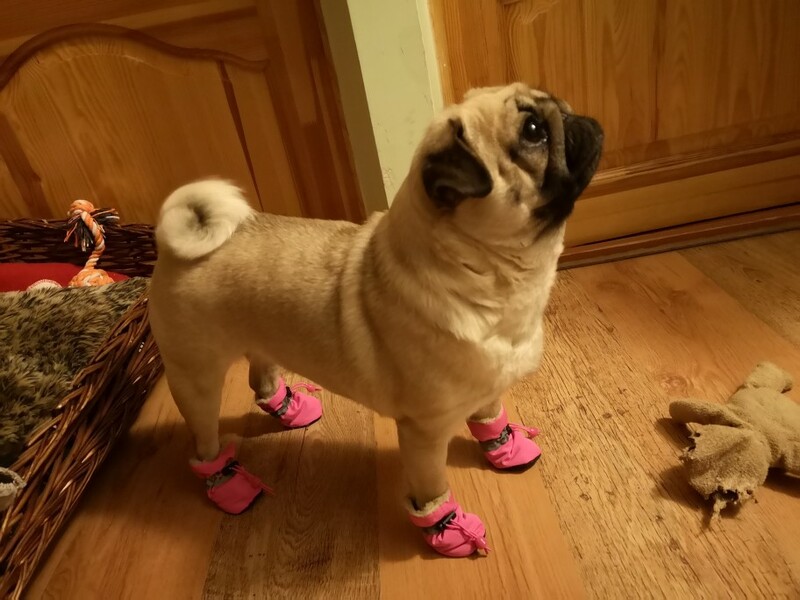 The bottom of the shoes have an anti-slip design to prevent your pup from slipping and sliding. 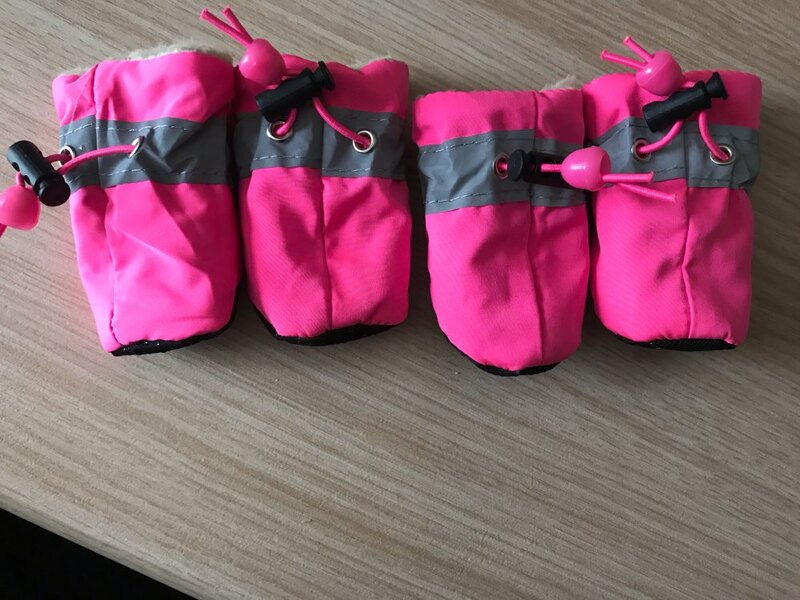 These slippers are ideal for keeping your dog's paws clean from mud, protected against the hot ground, or warm in the icy snow. They can simply be thrown in the wash when dirty for quick and easy cleaning, so go ahead and let your pooch romp around! 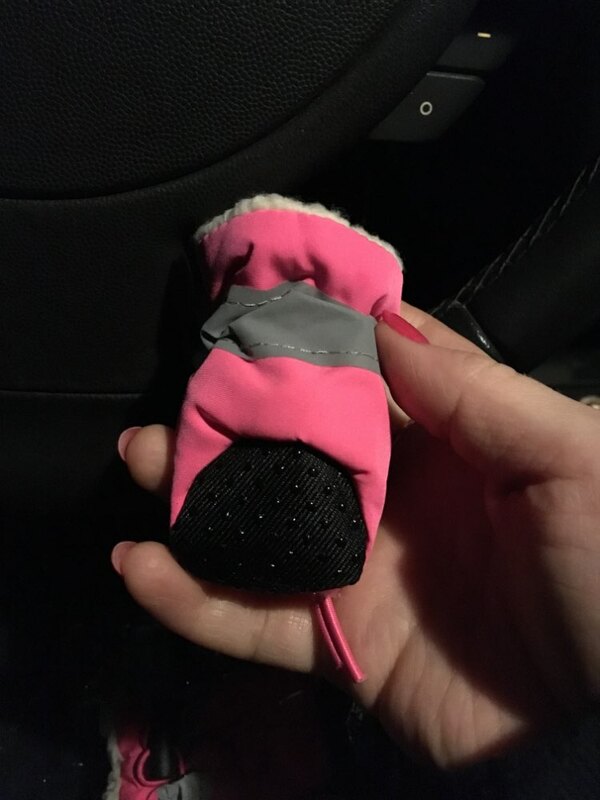 The shoes' elastic band slip lock allow for adjustable sizing, and reflective material around the booties mean your canine will stay visible and safe in the dark! 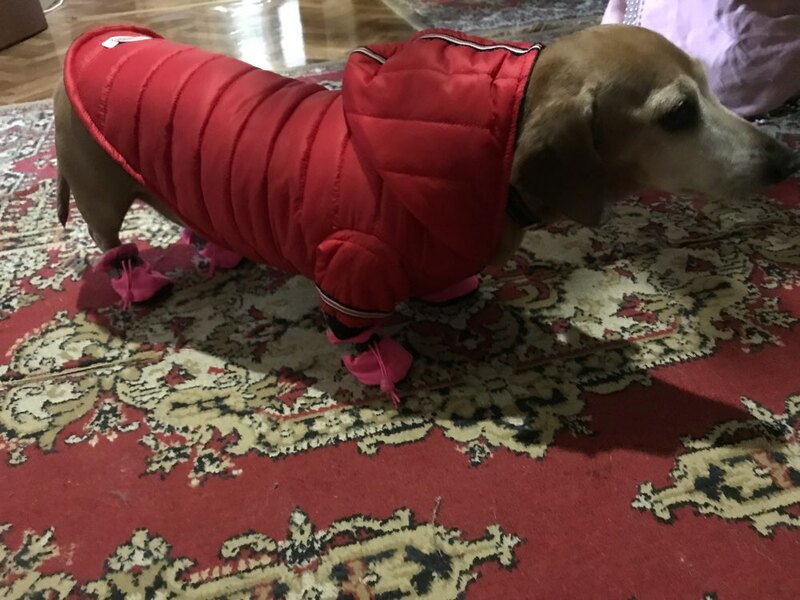 While these shoes do provide some waterproof protection, they are best used for quick trips outside, short walks, or indoor use, as they aren't designed to stay dry too long in snow. 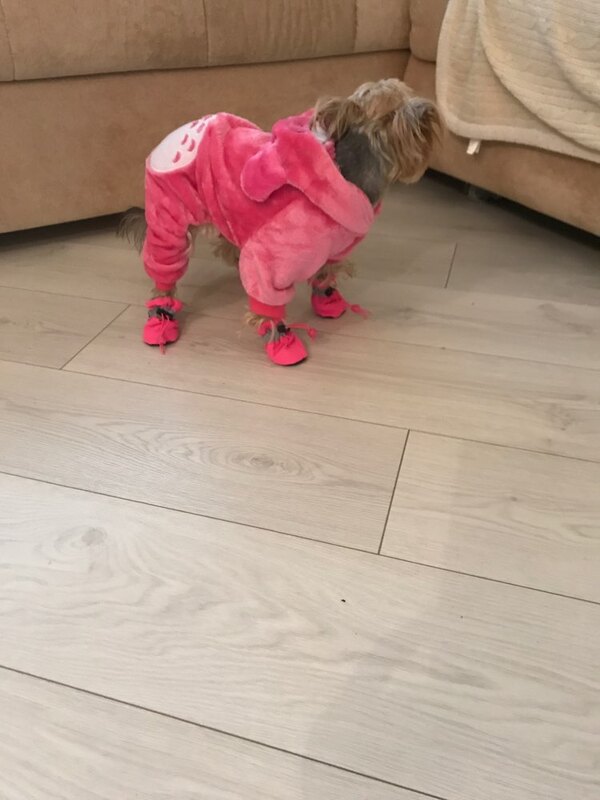 Sizing Note: If your dog is between sizes, we recommend going with the larger size, as these shoes run small. S 1.4" 1.4" 1.6" 4"
M 1.6" 1.6" 2" 4.3"
L 2" 1.8" 2.4" 5"
Soft, warm, with nice lining. 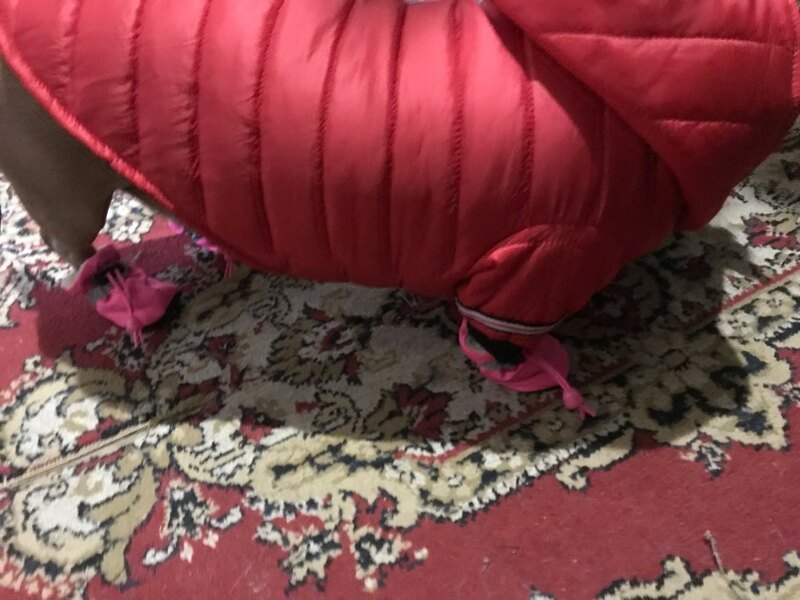 The size L worked for my 9kg Pug. Color is bright, consistent with the picture. 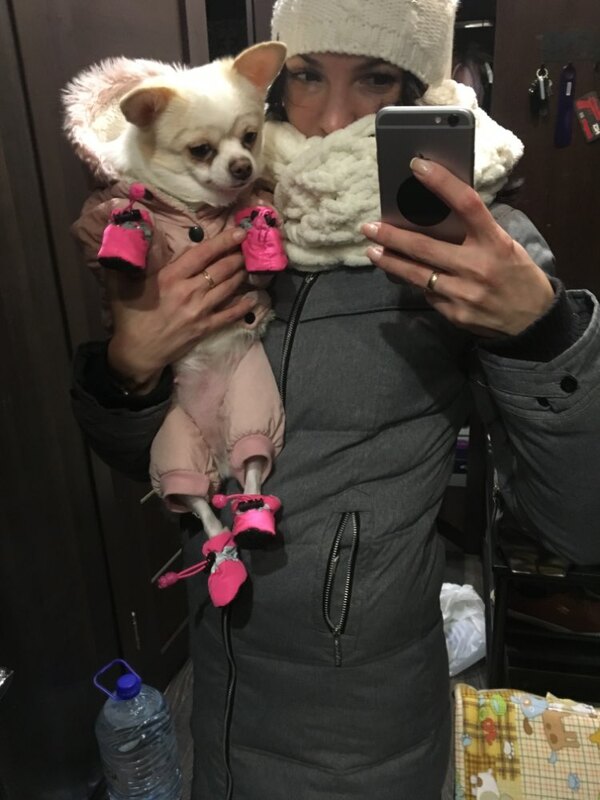 Cool shoes, dog seems comfortable in them. 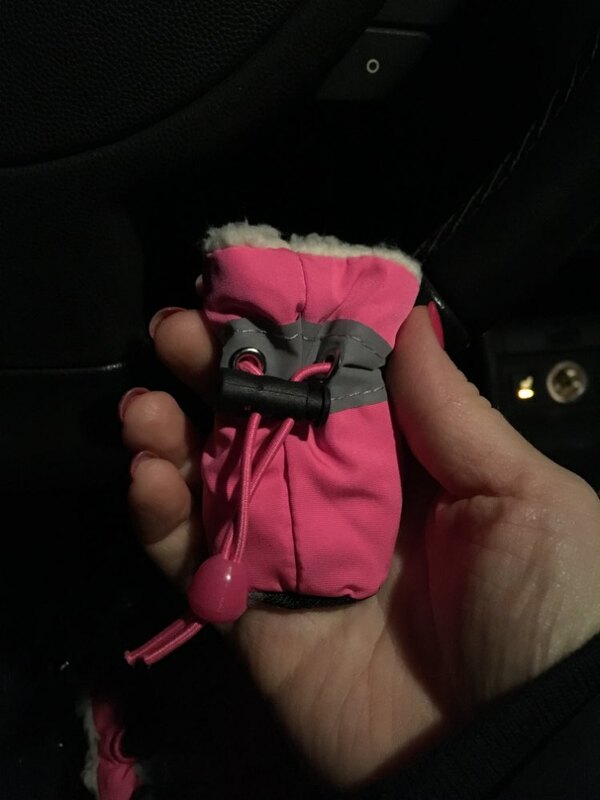 It's nice that they are adjustable - they don't fall off the dog's legs. 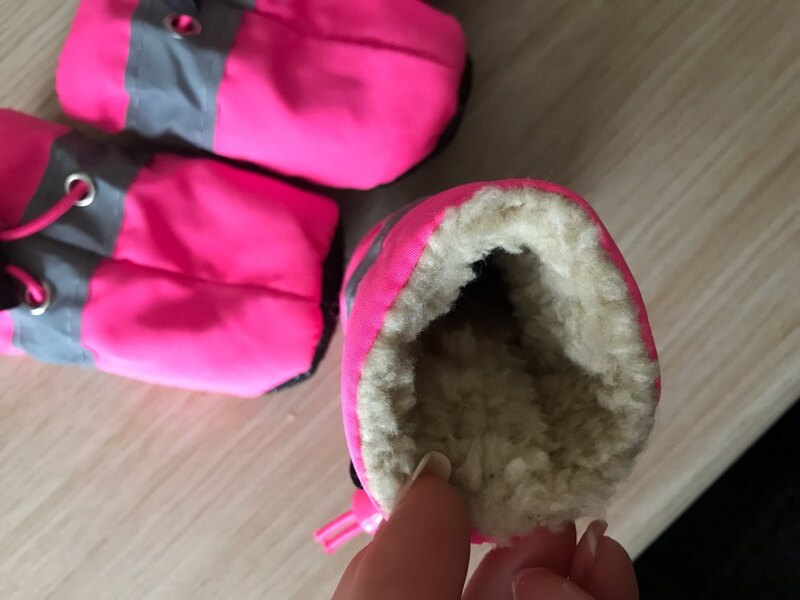 Slippers are good, except the bottom of the inside is so thin, it's basically just cloth! These work well as slippers. However, they are very thin. 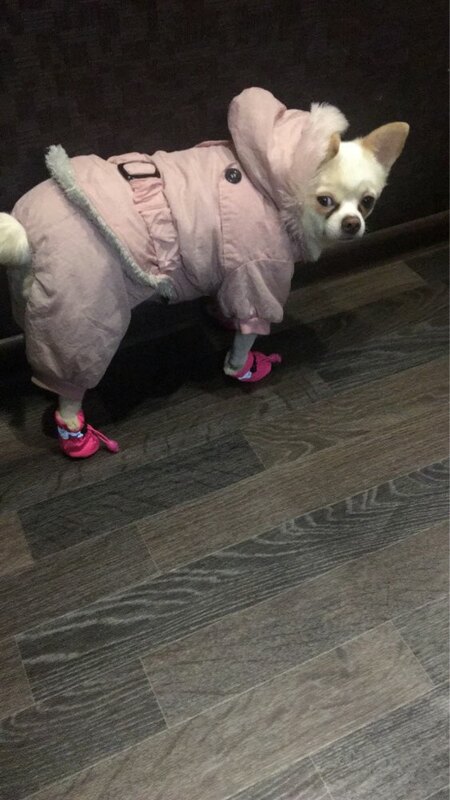 They definitely would not keep your dog warm outside.